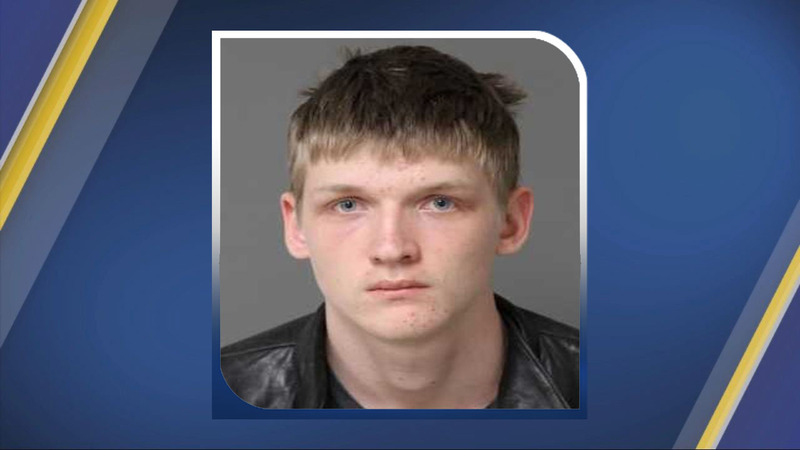 CARY, N.C. (WTVD) -- An 18-year-old man has been charged after walking into a Cary Barnes and Noble and firing two pellet guns on Friday night. Jonathan Kyle Courtney, 18, of Cary, was charged with possessing a weapon of mass destruction, malicious assault in secret, two counts of felony assault with a deadly weapon, one count of assault with a deadly weapon intent to kill or inflict serious injury and one count of discharging a barreled weapon into an occupied property. Around 7:10 p.m., Cary police responded to a report of an active shooter at the Barnes and Noble at 760 SE Maynard in Cary. When they arrived, they said a man went into the bookstore with two pellet guns and began shooting. Two people were struck, including an adult man and an adult woman who were taken to the hospital for treatment, Captain John Szymeczek with the Cary Police Department said. The two adults were taken to WakeMed for treatment and Courtney was taken into custody without incident while attempting to flee. "I would say this would meet the criteria because bad things can happen with a BB gun so yes this would be an active shooter scenario. It's always a good time to practice the training and I hate to use the word practice because this was a real-world scenario," said Captain John Szymeczek. Courtney could face up to 20 years in prison if convicted, officials said. An eyewitness told ABC11 that she was inside the Barnes and Noble with her dad when the shooting happened. "So my dad starts chasing after him toward the guy and then I hear more shootings and I run out of the Barnes and Noble," said Katia Bagley. "You wouldn't think someone would go in and decide to shoot it up but it happened- tells you, you have to be more careful especially just nowadays." If you have information, contact Crime Stoppers at (919) 460-4636; you may also visit www.carycrimestoppers.net. All calls will be kept confidential at caller's request. There was a heavy police presence at a shopping center in Cary on Friday night after a man walked into a bookstore and began firing a pellet gun, striking three people.